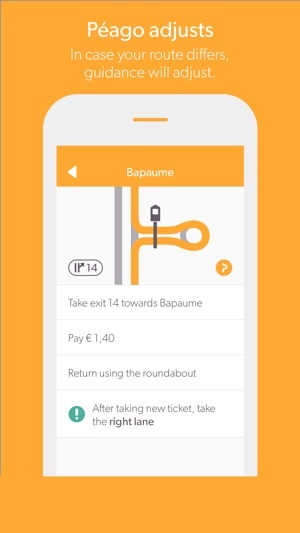 Péago is THE app to drive through France in a clever way. Save up to 25% on French toll costs without avoiding the toll road! Calculate the total of amount of toll while in France. Receive a notification with the correct amount of toll costs you have to pay. FREE - The app notifies you on the French toll roads when you are approaching a toll gate. In this way you are prepared in advance for which amount you have to pay. SAVE - For only £ 2.99 you can save money on the French toll roads. Péago knows all French highways and how toll is calculated. By taking selected exits, you pay less. Péago works without a mobile internet connection. - Choose your vehicle class: car, caravan, mobile home, etc. 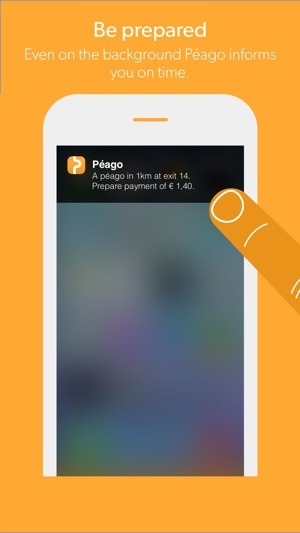 - Péago calculates what amount of toll is, and what you can save. 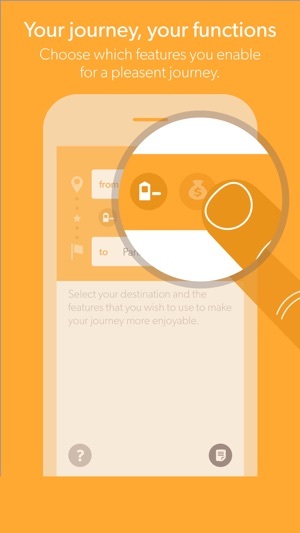 - On the road, Péago notifies you about 3 kilometers before a toll gate what you'll have to pay. 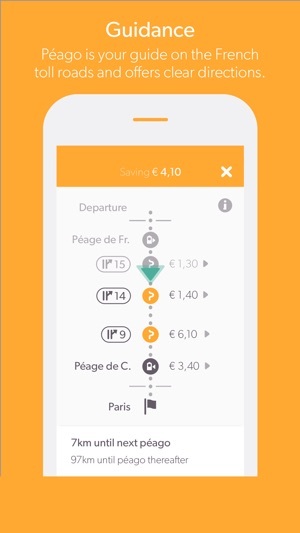 - Did you purchase the saving feature, then Péago notifies you also for exits where you can save money. - Save between 10% to 25% on French toll fare. - Are you taking a different route? Péago adjusts and recalculates the best option in a heartbeat. Bonne route en France !